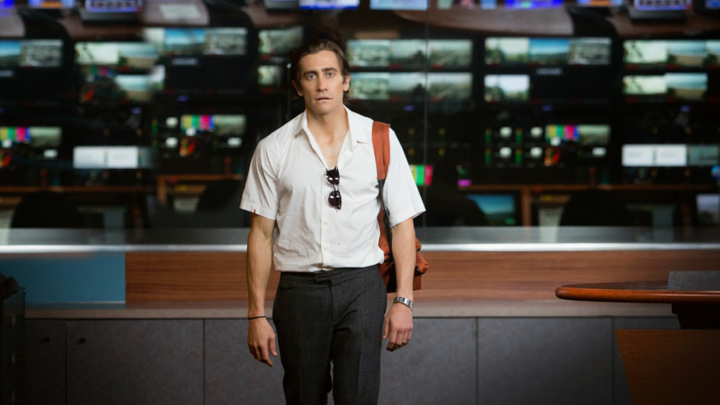 Everyone seems to know this film as ‘the one where Jake Gyllenhaal loses weight’. Yes, he does, but Nightcrawler should be known for way more than that because it is totally genius. I really liked this film – Jake is incredible and this is easily my favourite film of his. He stars as Lou Bloom, a thief and hustler who stumbles across a freelance TV crew filming a car crash and he decides that will be his new profession. He buys some cheap gear and becomes a ‘nightcrawler’ who waits for accidents and crimes to occur so they can be filmed and sold to news networks. Bloom is very persistent and his determination to rise up the ranks leads him to make some very questionable, unlawful decisions.